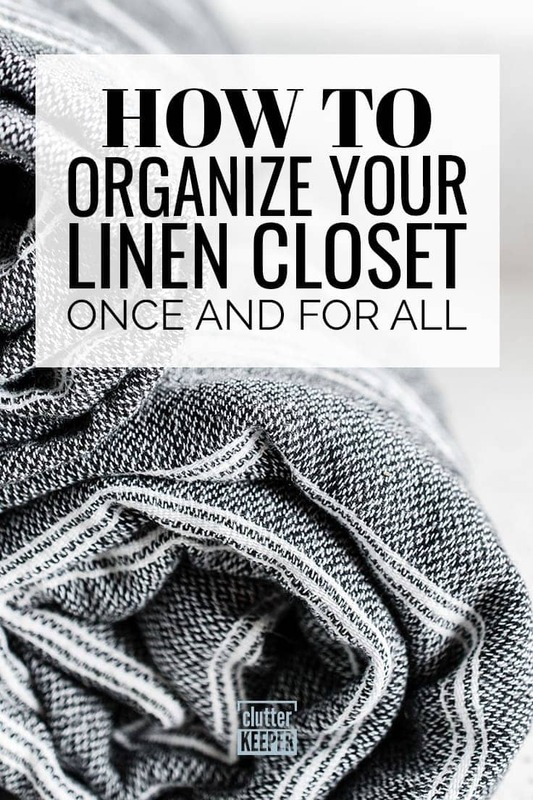 If you need a little extra space to get the door shut or a way to organize overflowing shelves, here is how to organize your linen closet once and for all! 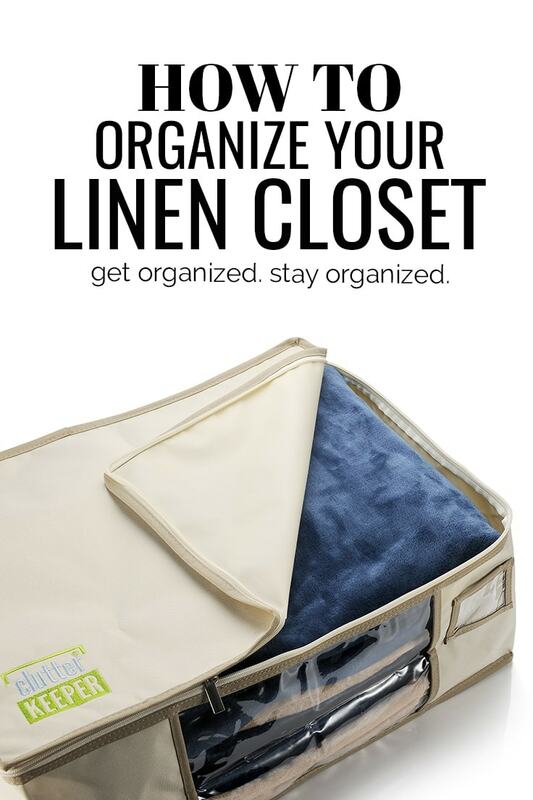 When was the last time you actually organized your linen closet? If you can’t remember then knowing where to start can be a challenge. For some of you, getting the linen closet door to shut may be just as challenging. These tips will show you how to organize your linen closet once and for all! Imagine the feeling of opening your linen closet, and seeing everything perfectly organized. Seems like a dream, right? It’s possible. And it is easier than you might think. This article will help you organize your linen closet and establish systems that will keep it organized. You’ll finally be able to find what you need without dealing with a chaotic mess. A linen closet is a term used for the closet where you store bath essentials, towels, bed sheets, and bedtime necessities. Since it is such a catch all, it is really easy for it to be a place people stuff full of random things. This is why it is so important to go through your linen closet and organize it. Where should a linen closet go? The location of your linen closet depends on what you are storing and how you use it. Since most people keep towels and bed sheets in their linen closets, they use a hall or bathroom closet. 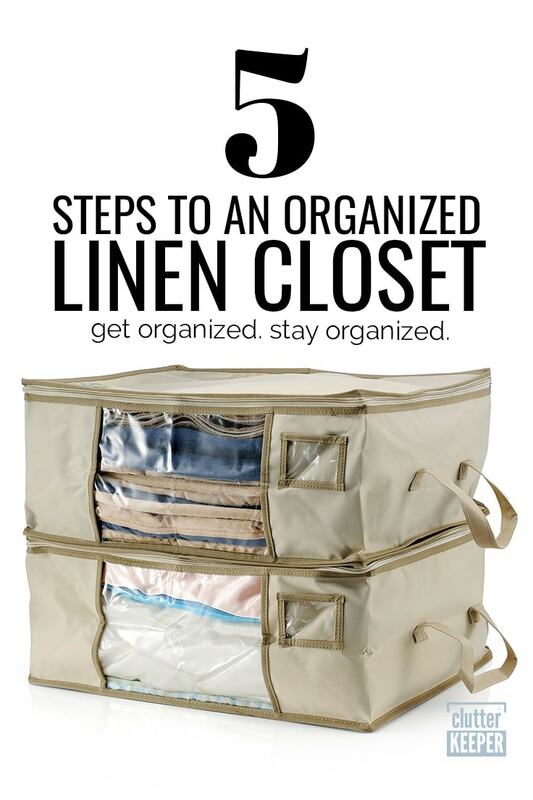 Now that you know what a linen closet is and where it should go, let’s look at how to completely organize it in 5 easy steps. The best place to start when organizing a space is to start with a blank slate. 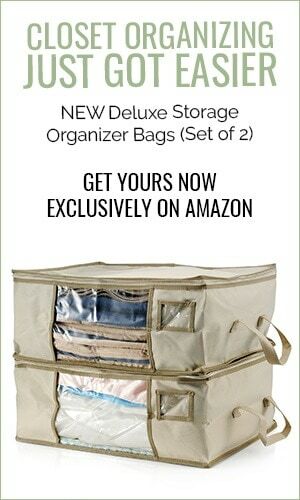 This will allow you to get a clear grasp on what you have and what you still need to organize your space. Once everything is taken out, start organizing what you have into related items. Keep all of your towels in one area, extra bed sheets in another, and so on until all of your items are categorized. Once you have your items into categories, it’s time to assess what you have. Start by getting rid of anything you aren’t using, do not like, or do not want to keep. You want to do this first to make sure you are left with only the things you use. You may find that you don’t need as much storage as you originally thought, or that a smaller bin will work. Once you’ve decluttered your items, ask yourself if all of the items you’ve laid out really need to be back in the linen closet. Is there a better or more practical place for this item? It is a rare sight to see the linen closet completely empty. Take this time to clean off the shelves and put in shelf liners. This will help your bins and items stay put when they are stored, and give your closet a clean finish. Review these linen closet storage tips if you need some clever ideas for how to create more space. An organization system is only as good as the organizers within it, and this is true when storing items in your linen closet. 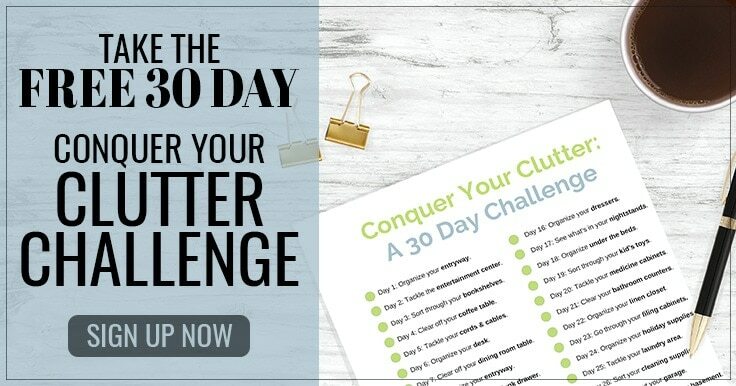 Evaluate the categories you have and decide on what the most appropriate way to organize them will be. If you have smaller items, consider corralling them into a small bin. For tiny items, consider an over the door organizer, or utilizing small bins within your organizing bins to keep them from getting lost. Store larger items that you don’t use all the time, like beach towels, extra blankets and bed sheets, in organizer storage bags. If you don’t know how to fold a fitted sheet, use this hack for storing your sheet sets neatly. Fold the fitted sheet as best you can. Then, store both the fitted sheet and the top sheet inside the pillowcase that matches the set. Now, whenever you need to change your sheets, the entire set is together inside the pillow case. Once you have chosen an organizer that works for the items you are storing, it’s time to put it back into the closet. You may need to move things around as you put the bins and organizers back, and as you use the linen closet. You may find that as you use your newly organized closet that you need to move things around. When putting items back, start by keeping the most used items at eye level. The least used items should be at the top of the closet, and the very bottom should be used for items that need to move in and out of the closet frequently. Finding Home Farms has an excellent tutorial for how to organize a tiny linen closet. You don’t need a lot of space, you just need to use it effectively. Organizing the linen closet doesn’t have to be a daunting task. If you follow these steps, your linen closet will remain organized for months to come. Closet Organization – This is a complete guide for organizing all your closets. Pantry Storage Mistakes – Learn about the most common pantry storage mistakes and how you can avoid them. 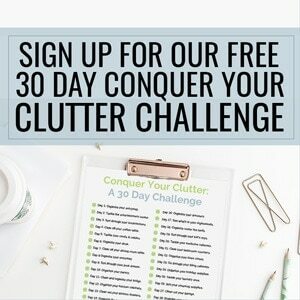 How To Get Rid of Your Junk Drawer – Everyone has one, but learn how to organize yours.